Premium hand selected CDC Puffs are great for multiple patterns, especially emergers and pupae. Finer in diameter and more dense than standard CDC feathers. Cul De Canard feathers grow around the preen gland, which secretes the oil that ducks and geese use to preen and waterproof their feathers. 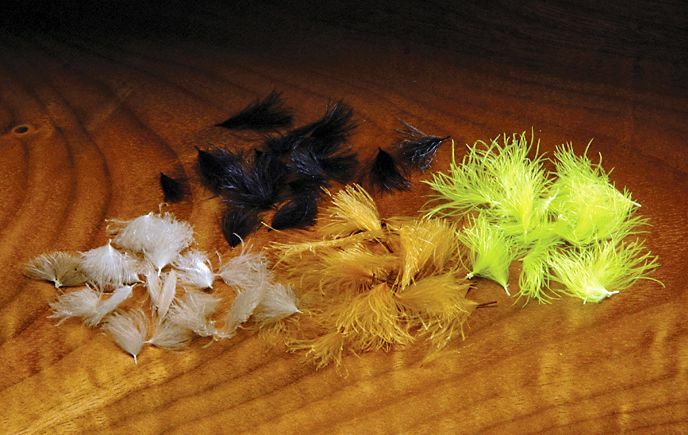 The oil and the water-resistant properties of CDC feathers make them great for emergers, nymphs and dry flies. 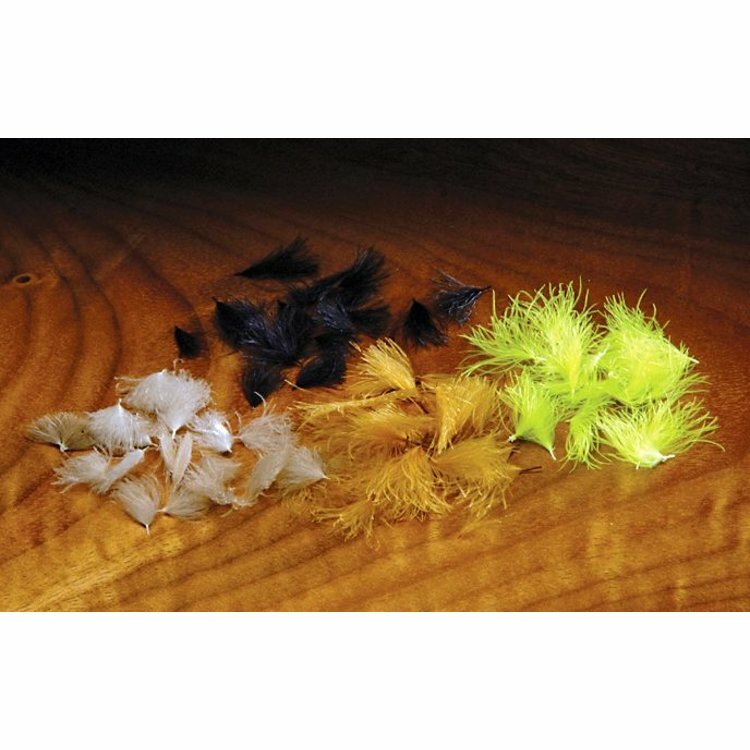 Flies tied with Cul De Canard or CDC offer great flotation with no synthetic floatants required. In fact, using floatant on a CDC fly will ruin its natural floating properties! Please specify color.